I can't remember the last time I didn't like a contemporary book this much. I'm usually easy to please - I just need a story that draws me in, and keeps me engaged... and I really thought I was going to get that with this book. I wasn't really expecting a groundbreaking story or anything like that - the blurb sounded fun and cute, and I always like books set in the entertainment world. Why not, right? A couple of weeks have passed since I read Under the Spotlight, but now that I'm typing up this review, I remember just how disappointed I was in this book. While there was nothing wrong about the general plot line, the actions of the guy MC - Garrett - all throughout the book just left a bad taste in my mouth. I'm flabbergasted at how this particular character didn't grow AT ALL throughout the book - he kept making excuses for his actions (oh poor me I no longer have a career because of my brothers yada yada yada), and he never ever ever listened to the other characters in the book. That's what pissed me off the most. 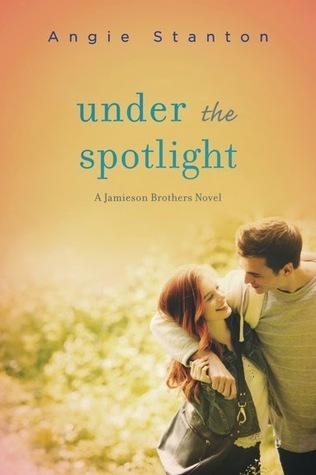 Okay let me backtrack a bit - Under the Spotlight is the third book in the Jamieson Brothers series (which I had no idea about), and we're introduced (or reintroduced) to Garrett just after his and his brothers' band breaks up due to them (the brothers, not Garrett) realizing that they want other things in life. He's angry, and while he misses his old life, he knows he can't get it back. He's bold enough to acknowledge that he's not vocally strong enough to have a solo career, and decided that he's just going to find music's next big thing and produce the next best record. He pulls some strings (this is so positively irksome, but also a way of life, so let me just go back to my corner), and the best of the best at Sound Sync are eager to show him the ropes and help him learn. Enter Riley - a musical prodigy who refuses to sing again after her disaster of reality music show stint, and Garrett knows that he's found it. See, in other circumstances, I would have loved Garrett's honesty and his tenacity. He knows he doesn't have the chops to sing solo, but since he wants to remain in the industry, he's open enough to find another door - another career. But I didn't. I really didn't. His attitude grated at me, and everything he did rubbed me the wrong way. I especially hated the way he treated Riley - Riley kept on telling him that no, she DID NOT want to sing again in front of many people, but he REFUSED to listen. He pushed and pushed... and pushed some more. And no, I never got the vibe that he wanted Riley to sing because her voice is the type of voice that should be heard, but rather because Garrett reckons that she is his only shot of making it again in the music industry. He thought about himself, and no one else. So when he finally convinces Riley to give music another shot, I thought we'd finally start to see Garrett's character grow. He now has someone else to think about, someone who is relying on him, after all... BUT NO. He still continues to manipulate Riley, and he always, always pushes her to do things that she is vocal about not being ready to do. He always says that he knows what he's doing, and that he's only doing all that he is doing for Riley... but come on! He's thinking about no one but himself, and by this time, his character has become unbearable. For lack of a better word, he was a douchebag for three-fourths of the book, and nothing that happened in the end redeemed his character for me. Riley, the female MC, was an interesting enough character. She has a good head on her shoulders that she's able to fend for herself even with her slacker of a mother, and she's a strong, resilient woman. I really liked the parts wherein she calls out Garrett's lying and manipulating (believe me when I say that Garrett deserves that and SO MUCH MORE), but I have to say that her character was not enough to save the trainwreck that was Garrett Jamieson. Garrett's character swallowed Riley's whole, and right now, I can't even think about what other things about Riley engaged me. The romance was rushed and forced, if I do say so myself. I don't understand the attraction (because Garrett treated Riley so horribly), and even when Garrett wanted to do something nice for Riley, he managed to mess things up and make everything worse. And you know why this is? Because HE NEVER LISTENED TO RILEY. Never mind that Riley poured her heart out to him... he just didn't listen. I have never been so frustrated with a character before as I am with Garrett. No character development whatsoever! I understand that he's angry about his band breaking up and he wants to prove his worth to the industry, but I don't know... nothing about him is likeable. Something happens in the last fourth of the book that is supposed to redeem Garrett in our eyes - something that would make us like him or understand him at the very least... but nope. The execution was sloppy and rushed, and I really think that for all the crap that Garrett pulled, he got off the hook too easily. We're just supposed to believe that Garrett has changed all of a sudden, and sorry, but I just don't buy it. All in all, this book and I didn't get along. 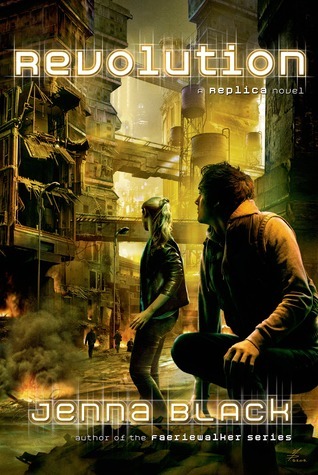 I would however recommend it to fans of the Jamieson brothers - I guess one of the reasons why I wasn't invested enough is because I haven't read the first two books in the series, and maybe you guys would like Under the Spotlight better than I did.